Xero's Steve Vamos and Rod Drury. New Zealand-headquartered cloud-based accounting software vendor Xero (ASX:XRO) has narrowed its net loss by 60 per cent, from NZ$69.1 million last year to NZ$27.9 million in the red for the financial year ending 31 March 2018. The company's earnings before tax (EBITDA) also improved, from a NZ$28.6 million loss to NZ$26 million in the black for FY18. Operating revenue experienced 38 per cent growth to NZ$406.6 million and cash flow from operating activities was at NZ$41.2 million, a lift from the previous year, which was down NZ$4.4 million. Xero chief operating and financial officer Sankar Narayan said it had been a landmark year for the company, reaching several significant milestones while driving strong revenue and subscriber growth. There were 351,000 new additions to Xero’s subscriber base, taking total subscriptions up to 1.386 million as of 31 March. Its cloud accounting market saw 28 per cent growth in subscribers to 884,000 in Australia and New Zealand. Some of the positive attributes Narayan highlighted were the company's inclusion into the Australian Securities Exchange (ASX) 100 index; its first annual positive EBITDA and operating cash flows for the full year, and establishing access to debt capital. Globally, Xero said it was continuing to make headway in North America , adding 40,000 subscribers, bringing the overall figure to 132,000. ‘Rest of the World’ subscription was also up 49 per cent to 58,000. 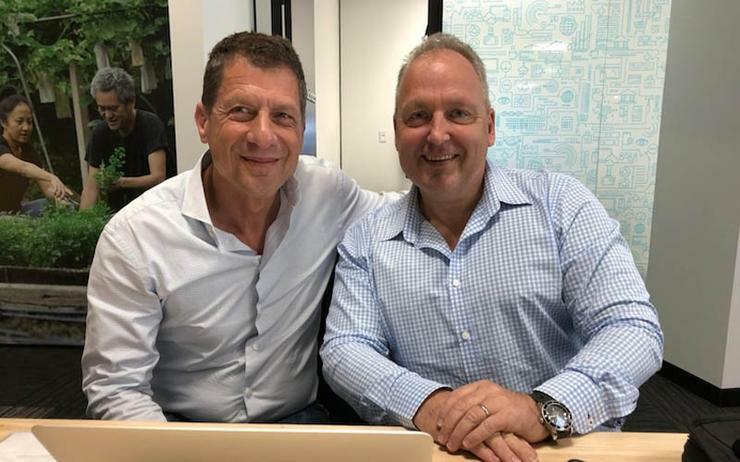 “We are well poised to leverage Xero’s international market position as we continue to build a diversified growth profile,” recently appointed Xero CEO, Steve Vamos, said. “The Xero team is focused on delivering a scalable product and customer service experience, as we expand further into new and existing markets. In March, Xero, revealed that founding CEO, Rod Drury, would step aside, with Steve Vamos, taking on the top role. Vamos spent the past 18 months working closely with the company’s executive team, developing is management capability and operating model. Drury started Xero in 2006 with just four employees and has watched the company evolve and grow, counting more than 1.2 million subscribers. “For the first 10 years of our journey, we had to build all the complexity of SAP for small business; we had to build a global business platform and build a global business channel,” Drury said at the time. “Now we have a whole lot of options about new things we can provide over that platform… moving from the back office to the front office, doing more in the fintech space, those sorts of things. “I was finding I was a little bit stretched. We’ve got so much innovation we can build," he said.